Tanya Howard has been a Post-doctoral research fellow at the University of New England since 2015. During this time, Tanya has worked under the supervision of Professor Ted Alter from Penn State University and Professor Paul Martin from the Australian Centre for Agriculture and Law, on the Invasive Animals Cooperative Research Centre project ‘Facilitating Effective Community Action’. Current research projects include case studies of collective community action in wild dog management; capacity building and network development for invasive species community practitioners; collaborative policy and program reform for community action on biosecurity management; in-depth relationship development, research practice and community building with collaborators across Australia. Tanya’s doctoral thesis explored participatory processes in the environmental governance of rural landscapes and capacity building in rural communities. This research applied socio-legal methods to explore how community voices are brought into environmental governance. 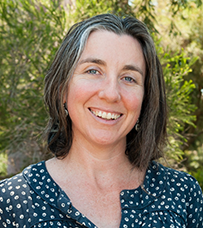 Previously Tanya has worked with rural and remote communities to develop and deliver quality natural resource management and environmental sustainability outcomes across the non-government to government sectors. While at UNE, Tanya has taught postgraduate studies in the Masters of Sustainability. She has active research links with Pennsylvania State University and the Kettering Foundation in the USA. Tanya is passionate about the role of authentic and honest communication, deliberative practices and community participation in the pursuit of environmental and social justice. Howard, T. M., T. Alter, P. Frumento and L. J. Thompson (2018). 'Community pest management: a narrative approach'. Melbourne, Springer, in press. Howard, T. M. (2018). "Balancing the see-saw of natural resource governance: The interaction of legislation, policy and practice in four Australian participatory processes." Australasian Journal of Environmental Management in press.